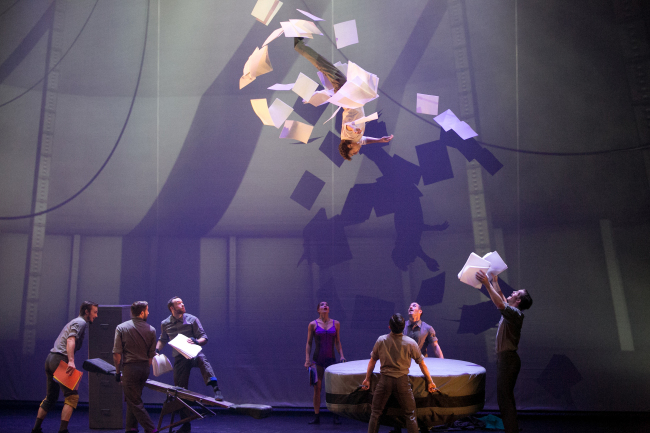 The two renowned Canadian circus companies are presenting shows that offer audiences a dose of escapism from the daily grind. Just around the corner is Cirque Eloize’s “Cirkopolis,” to be staged July 5-8, at the LG Arts Center in Seoul. 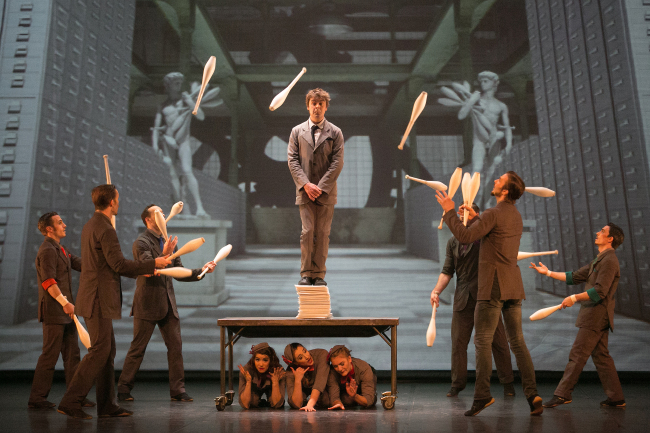 Co-directed by the circus company president Jeannot Painchaud and choreographer Dave St-Pierre, “Cirkopolis” is well-known for combining elements of circus arts, dance and theatre. 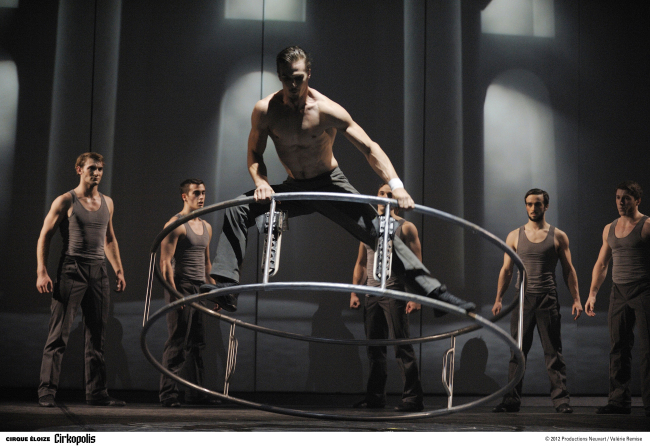 Integrating its circus acts into a narrative, “Cirkopolis” offers a runaway dream narrative on top of circus acrobatics. The show revolves around an office worker drowning in a sea of paperwork who later breaks free of the everyday life in the city, full of machinery and bureaucracy that suppress individuality and force uniformity. A total of 12 multidisciplinary performers will perform against a backdrop of atmospheric lighting by Nicolas Descoteaux, inventive video images by Alexis Laurence and a range of eclectic music from composer Stefan Boucher. Founded in 1993, Cirque Eloize has produced 11 shows that have been performed around the world, attracting more than 3 million people. Taken from the Sanskrit word “koza” that translates into “box” in English, “Kooza” presents the story of the Innocent, a melancholy loner trying to find his place in the world. Having premiered in 2007 in Montreal, Cirque Du Soleil’s 15th production “Kooza” has been staged in 56 cities in 18 countries, drawing around 8 million spectators. Largely marked by its use of sacred music from India and fusing it with western styles such as punk, jazz and gospel, “Kooza” provides the audience with an interesting mixture of sounds, along with the company’s acclaimed traditional circus artistry. The show will be held at the company’s trademark Big Top tent or Grand Chapiteau, to be setup at an outdoor space in Jamsil Sports Center. The dates of the performances have not been confirmed yet. The upcoming show will be Cirque Du Soleil’s sixth visit to Korea.